Looks to be a Third Generation (1965-66) Rambler Classic 770 Cross Country Wagon. This one is probably a ’65 because it only has one mirror…it came standard in ’66. 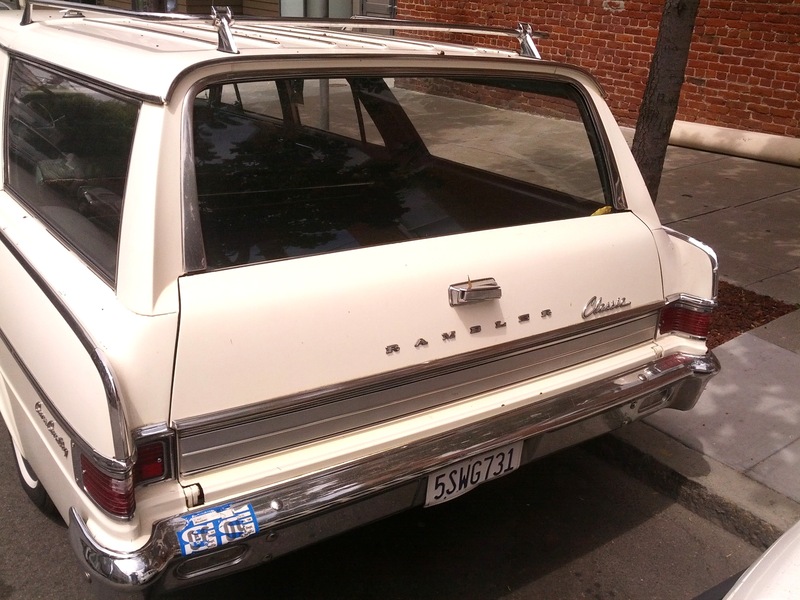 The Rambler started as a Nash nameplate, but after they merged with Hudson in the ’50s to form American Motors- Wisconsin’s only car manufacturer. 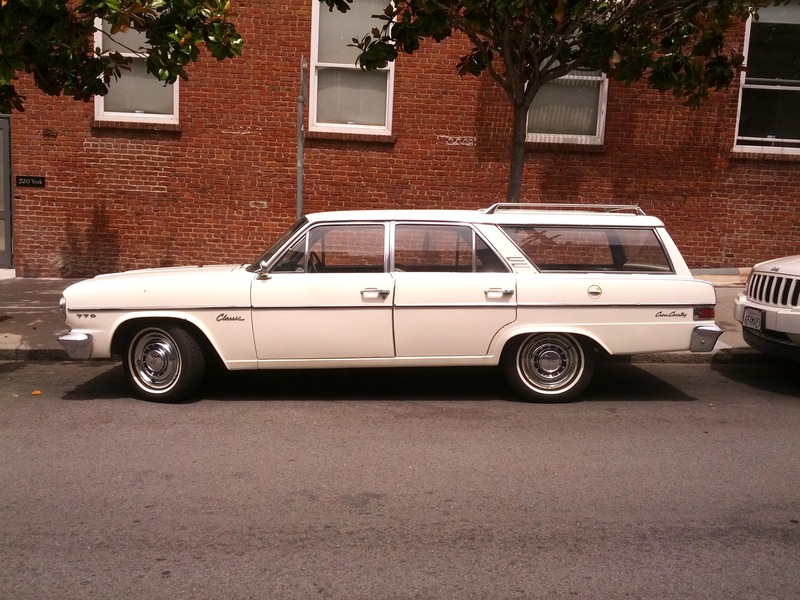 This one is in the “770″ Trim, which is the top of the line V8 version, essentially a muscle car station wagon. Haven’t seen the wagon around Portland, just the sedan, nice find! oh sweet i’m gonna start sending him stuff too! I had a 63 Belvedere wagon in high school with a 383. That sounds nice. 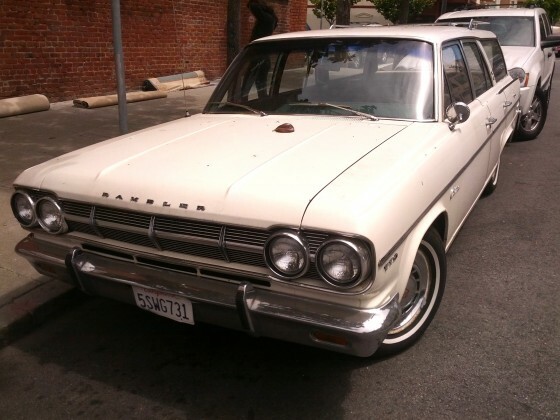 I had a 1962 Valiant wagon that I drove from here to Key West and back in the late 90s. Black California plates…I met a ton of good folks while I was on the road because of that car. That thing is crazy clean. I’m betting little old lady, garaged except for trips to church and grocery store. Score! Might be hard to find parts though. nice feature! pics of volkswagen buses please! BTW, Mitt Romney’s dad George was involved with Rambler before he became Governor of Michigan. I’m pretty sure this is my neighbor’s car. If not, he has an identical one in equally good shape and always parks in front of our building out in the Western Add. Pretty run of the mill late 30s guy who drives it often and apparently knows how to maintain it. Hey Allan, Where do I need to park my car to get it on MM? 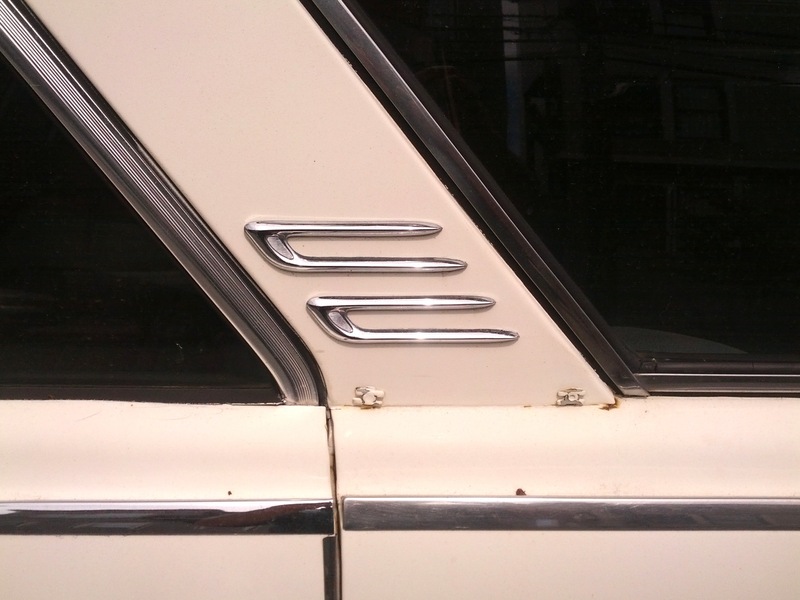 Additional muscle car restoration projects may include the repainting of a muscle car. The installation of older car parts that need to be replaced is also considered a form of muscle car restoration. These items may include, but should not be limited to, driver and passenger seats, steering wheels, tire rims, and in-car music players.